More than 100 students in the University of Arizona College of Medicine – Tucson officially will become doctors on Thursday, May 9. 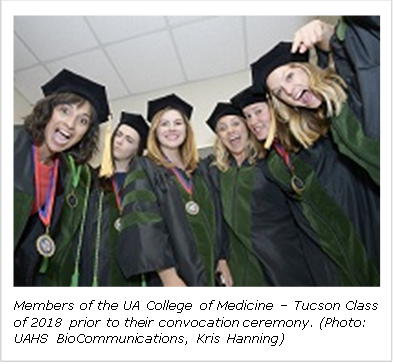 The convocation ceremony, where students will receive their Doctor of Medicine (MD) degrees, will take place at 7 p.m. in UA Centennial Hall, 1020 E. University Blvd., Tucson, AZ 85719. The 2019 Convocation keynote speaker is UA President Robert Robbins, MD. Dr. Robbins is an internationally recognized cardiac surgeon who has focused his clinical efforts on acquired cardiac diseases with a special expertise in the surgical treatment of congestive heart failure and cardiothoracic transplantation. Irving Kron, MD, interim dean of the College of Medicine – Tucson and UA Health Sciences senior associate vice president, will deliver the ceremony’s welcome remarks and lead the graduating students in reciting the Hippocratic Oath. Additional remarks will be delivered by the 2018 Alumnus of the Year Kevin Moynahan, MD, who currently serves as the college’s deputy dean for education. 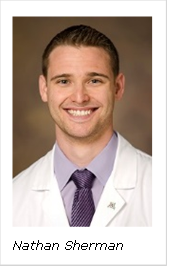 Medical student Brady Laughlin will serve as the class speaker; he will pursue residency training in radiation oncology at the Mayo Clinic in Phoenix. The Class of 2019 is made up of 52 women and 50 men, ranging in age from 26 to 42. More than 25 of the graduates identify with a racial or ethnic group that is underrepresented in medicine. One member of the class will receive a dual MD-MBA degree, a program offered in partnership with the UA Eller College of Management. 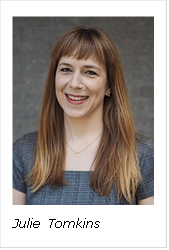 Another will receive a dual MD-MPH degree through the UA Mel and Enid Zuckerman College of Public Health. The Class of 2019 also includes the first cohort of graduates—six students—from the UA Pre-Medical Admissions Pathway (P-MAP) program. Established in 2014, the P-MAP program introduces highly qualified, underrepresented students to the pursuit of medical education. Upon completion of P-MAP, students earn a master’s degree in cellular and molecular medicine from the UA and automatically are accepted into the College of Medicine – Tucson. Nathan Sherman will earn his medical degree as part of the College of Medicine – Tucson’s dual degree MD-MBA program, earning the Master of Business Administration in health-care administration in May 2018. He is a “Wildcat for Life” and already holds a bachelor’s degree in psychology from the UA. Sherman will earn distinctions in community service and research from the College of Medicine – Tucson. Students who earn the community service distinction log more than 180 hours of volunteer time while in medical school. For Sherman, this included providing free primary care services to low-income, uninsured patients at the Shubitz Family Clinic, one of the college’s Commitment to Underserved People (CUP) program clinics for the Tucson community. He also volunteered with low-income geriatrics patients at Tucson’s St. Luke’s Home. Sherman is the co-owner of Tucson’s Heart and Soul Kids Activity Center, a gymnastics, tumbling and dance school for children of all ages in Tucson and Oro Valley. The centers were awarded Best Gymnastics Studio and Best Dance Studio in Tucson in 2017 and 2018 by the Arizona Daily Star. Sherman will pursue his residency training in orthopaedic surgery at the UA College of Medicine – Tucson. Marisela Mariscal is a member of New Mexico’s Pueblo Laguna tribe and also of Hispanic descent. Raised in Tucson, she is the first in her family to get a college education, holding a bachelor’s degree in physiology from the UA. She has known since high school that she wanted to be a doctor. Mariscal joined the UA College of Medicine – Tucson through the UA P-MAP program. When she enrolled in the master’s degree program in 2014—which guarantees enrollment in the College of Medicine – Tucson upon completion—she had a 3-year-old son. As Mariscal earns her medical degree this May, her son will be 8. 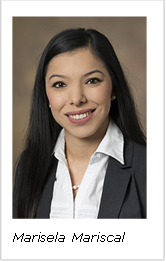 Mariscal will pursue her residency training in family medicine at the UA College of Medicine – Tucson South Campus. Julie Tomkins dreamed of becoming a doctor since middle school. But as an undergraduate, she majored in English and French and ended up pursuing her passion for language, literature and travel instead. The decision led her to a successful 15-year career in teaching. But on Thursday, May 9, 42-year-old Tomkins finally will fulfill her dream and earn a medical degree, officially kick-starting her career in medicine. Tomkins will graduate with a distinction in community service, which is awarded to students who log more than 180 hours of volunteer time while in medical school. Tomkins volunteered regularly with the MIND Clinic, one of the college’s Commitment to Underserved People (CUP) program clinics for the Tucson community, providing free mental health screenings to patients with little or no health insurance. She also gave free monthly check-ups to residents of local nursing homes. As a student, Tomkins served as co-president of the Integrative Medicine Student Interest Group. She also co-founded the Pathology Student Interest Group. After graduation, she will pursue her residency training in psychiatry at the UA College of Medicine – Tucson. Please note: This event will be livestreamed beginning at 7 p.m. on the college’s Facebook page. Can the looming physician shortage be stopped?